What Does It Mean to Be Served with an Arrest Warrant? Arrests happen every day, but that doesn’t mean they always go smoothly. From the notorious founder of hot yoga to the principal of an Alabama high school, arrest warrants tend to cause trouble. An arrest warrant is an official court document signed by a judge that gives police permission to arrest a certain person or group of people. A warrant contains information about the crime committed that led to the need for arrest, instructions relating to the nature of the arrest, and possibly the bail that must be posted by the defendant to obtain freedom after being arrested. Depending on the person being arrested, some arrest warrants become public news stories, like the story below describes. Hot yoga has become a huge trend in American society thanks to founder Bikram Choudhury, but the yoga guru is now also known for his efforts to circumvent the law. In 2013, Choudhury’s attorney alleged that he sexually harassed her, subjected her to obscene comments, and fired her without reason. She brought the case to court, and in 2016, a jury ruled in her favor. Choudhury was ordered to pay $6.5 million in punitive damages and $924,000 in compensatory damages. However, Choudhury had no intention of paying the money he owed, and instead he hid his assets, tried to ship his fleet of 43 luxury cars overseas, and moved to Thailand. Due to his evasion of the law, a judge just issued an arrest warrant for Choudhury with a bail of $8 million. The moment that Choudhury steps back on U.S. soil, he will be arrested. 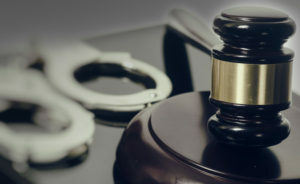 It took a very talented process server to track Choudhury down in Thailand, and if you find yourself needing the same type of support to locate somebody who needs to be served with an arrest warrant, the experts at Accurate Serve of Fort Myers can help. The experts at Accurate Serve of Fort Myers cover the entire 20th Judicial Court of Florida and offer superior service in Charlotte, Collier, Lee, Glades, and Hendry counties. Call (239) 822-7299 to learn more!